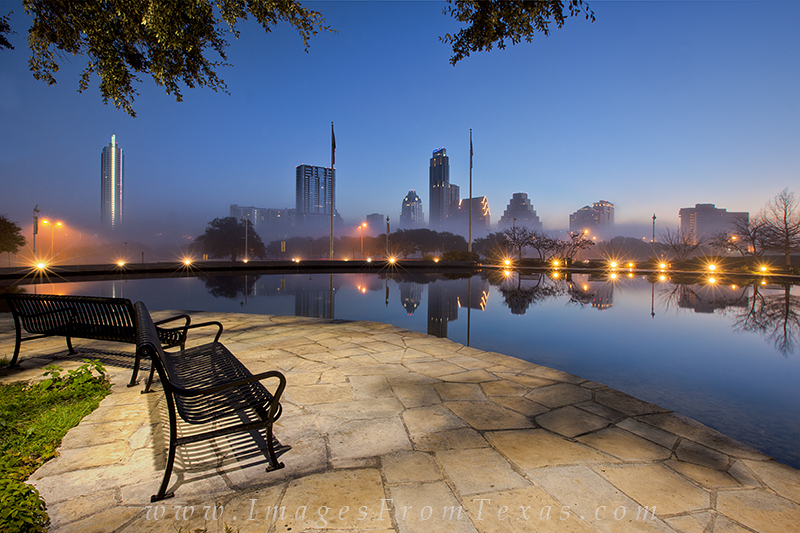 Low fog drifts through the downtown area of Austin, Texas in this photograph taken from a small pool near the Long Center. I think this bench would offer a great place to enjoy an evening and watch the world go by in this capitol city of Texas. Photo © copyright by Rob Greebon.